In what is said to ignore Dracula Untold and mark a fresh start for the ambitious project, The Mummy kicks off Universal Pictures planned shared universe for it’s cadre of memorable cinematic monsters, with Javier Bardem and Johnny Depp waiting in the wings as Frankenstein’s Monster and The Invisible Man, respectively. But before we get to them, we’ll be introduced to Sofia Boutella’s (Kingsman: The Secret Service, Star Trek Beyond) ancient Egyptian princess as she awakens in modern day to wreak havoc for Tom Cruise, who unsurprisingly throws himself around in some pretty jaw dropping stunts. 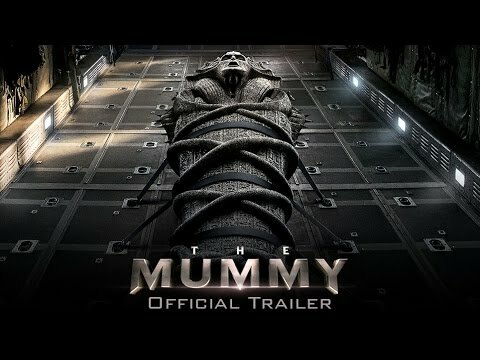 1999’s reboot of The Mummy is rightfully revered by many, many people, and it’s easy to see that director Alex Kurtzman has taken his cue from that movie, but the story does promise to throw some interesting wrinkles to what initially presents itself as a basic battle of good versus evil, teasing us with some impressive set pieces for good measure. Also, we get our first taste at the building of the Universal Monsters shared universe with an appearance from Russell Crowe’s Dr. Jekyll. I’m pretty sure we’re gonna see more of him down the line.